Guildford is a historic town in the south of England, found in the county of Surrey less than 30 miles from central London. A popular commuter town thanks to its proximity to the capital, the Guildford area has one of the most thriving property markets in the country, ranging from compact studios to sumptuous Georgian mansions. At My Home Move Conveyancing we’ve been developing our knowledge of local areas since 2002, allowing us to bring our clients an outstanding specialist conveyancing service. Should you wish to buy or sell property in Guildford, you must instruct a lawyer to carry out the legal work on your behalf. 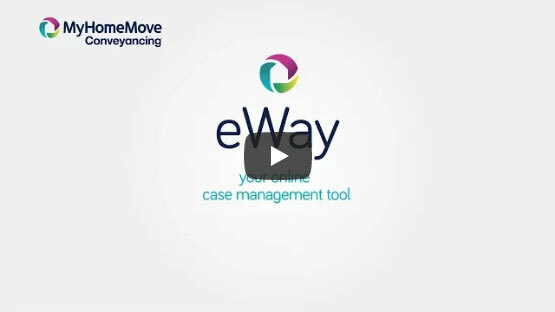 Let My Home Move Conveyancing complete the necessary work, and make the most of our award winning customer service, innovative use of technology and intimate knowledge of the local market. Our conveyancing service is fixed fee, so you’ll know exactly what you’ll pay from the outset, with no hidden costs to worry about. Also, we won’t charge you a penny in legal costs if you don’t end up moving for whatever reason. We assign each of our clients a dedicated conveyancer who’ll look after your needs from start to finish, regularly updating you on your case and providing you with a consistent point of contact. At My Home Move Conveyancing we’ve taken advantage of our expertise of local areas to offer assistance to customers across the Guildford area. From the town centre with its amenities to pleasant villages such as Bramley and Godalming, and the desirable Busbridge area. The average house price in Surrey is £383,852, while last year in Guildford the overall average price of properties sold was £457,339. Flats and semi-detached properties sold an almost identical amount, fetching an average of £265,551 and £415,938 respectively. Detached properties sold for an average of £768,669, and terraces for £399,839. Established as a Saxon settlement after the Romans had been ousted from Britain, one of Guildford’s most recognisable landmarks, Guildford Castle, was built in classic Norman style by William the Conqueror. Nowadays it’s a bustling town that brings together its traditional and modern aspects, delivering welcome amenities such as the Friary Centre and Tunsgate Square shopping emporiums. One of the most desirable places to live in England, this is in no small part due to Guildford’s proximity to London. Trains from Guildford Station to London Waterloo can take less than 40 minutes, while the A3 links the town to both the M25 motorway and the capital. Heathrow and Gatwick Airport are both around 20 miles away from Guildford. The area is also well equipped with a selection of excellent schools, another factor in Guildford’s desirability. Holy Trinity, St Joseph’s and Guildford Grove are among the top primary options, while notable secondary schools include George Abbot School, Christ’s College and St Peter’s Catholic School. Guildford also plays host to the campus of the University of Surrey. All properties in Guildford will fall within one of the following council tax bands.